Remember, this is a series of articles about making you A LOT stronger. In this part of the series I simply cover why “random” won’t make a person stronger. But the experienced CrossFit Coaches and programmers agree with this sentiment, so please read the entire article. Whether you CrossFit, or not, you need a strength program to be strong. Recently, I inadvertently became the test subject in a fitness experiment, but I answered the question…Will CrossFit make you stronger? 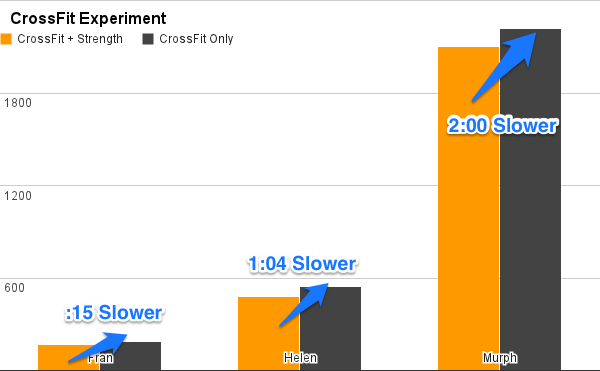 CrossFit will make you stronger (not exceptionally strong…ever) if you are weak. CrossFit will make you weaker if you are already strong. Before you tell me I am wrong about CrossFit, read the entire article. Also, know that I am a CrossFit coach and programmer, I practice CrossFit currently, I have for almost four years, and do not see an end in sight. However, I think what CrossFit is, and what it is not, needs to be more clearly defined. The main reason I would like to clarify, is because to say people like Rich Froning or Dan Bailey do “CrossFit”, exclusively, is extremely confusing for someone who is brand new to CrossFit. If you don’t think this is a common mentality…you’re wrong. I know this because I run a website (this one) which gets over a 1,000,000 unique visitors a year and A LOT of emails about this topic. I want everyone to realize that you need strength programs, you need plyometric routines, you need interval work to truly claim that “elite fitness” CrossFit claims…All of which is very different from what you see at CrossFit.com. There are so many facets and intricacies to CrossFit you can’t just say, “Go do CrossFit”, and you will become the fittest person in the world. 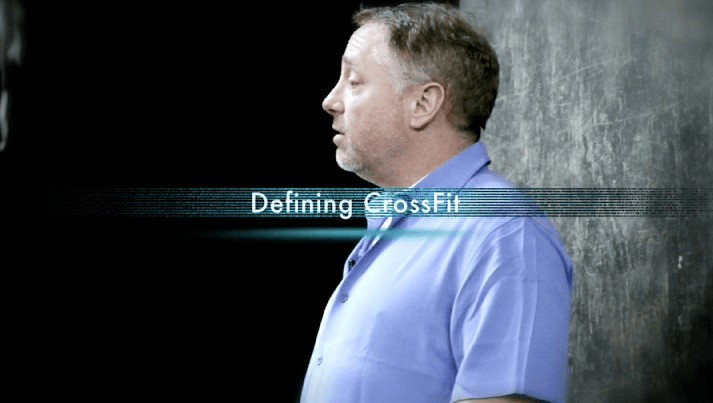 So what is the definition of CrossFit? CrossFit is…constantly varied, high-intensity, functional movement; this is also the definition given by founder and CEO of CrossFit here. Let’s keep it simple. That is the definition of CrossFit. There is also this one given in a recent CrossFit Journal article “CrossFit is a brand of fitness services, all conducted under the watchful eye of Level 1 trainers every day at almost 6,000 locations around the world.”…but I won’t get into that now. Do not confuse what CrossFit is to you, or what you have perceived it as. CrossFit has a definition and it is stated above. Furthermore, if you wanted to take a look at what CrossFit training looks like, take it from the horses mouth. Go to CrossFit.com, that is CrossFit training. Next we have to define strength, or “strong”. If you are a female who started CrossFit and couldn’t lift 2o lbs when you started, but now you can press 65 lbs over your head…yes, you got stronger. I can make a weak person strong by having them lift milk jugs on a daily basis. The point is, will CrossFit make you strong according to the standards above, and if you are already that strong…can it keep you there? Also to note, Strength programs ARE NOT CROSSFIT…if they were CrossFit Inc. would have them branded and labeled as such. Are the above programs CrossFit; by definition? High intensity? Yea, sure, it can be. Functional Movement? Ehh, for the most part. 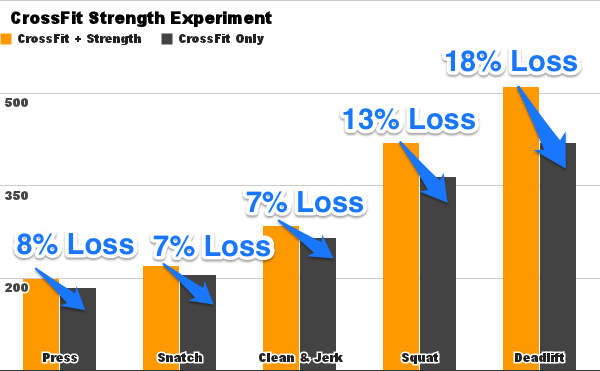 Most strength programs are not constantly varied, therefore not CrossFit. The only counter argument to that would be Louie Simmons and the Conjugate method, but even Louie states, it is constantly rotated, like a your clothes over the course of the month, not constantly varied. So to clarify, a strength program, even if done in conjunction with CrossFit conditioning, is not CrossFit. Being active duty military, I was gone for 10 weeks at the beginning of this year. I was not able to follow my own programming at all due to the local gym. So I decided, let’s just follow the programming that was available…and we’ll see what happens. I went from following my own Strength program, One Man One Barbell, with added conditioning of my own WODs to only following WODs from CrossFit.com. *The Y-Axis is time in seconds. This was the weirdest part to me. I thought doing only CrossFit WODs would at least help me dominate some of my benchmark workouts, but apparently not. Pre-experiment I would occasionally do 2 WODs a day. Strength, at a high level, is instrumental to being good at CrossFit. I get asked all the time, about strength and CrossFit, I mean I am the guy who created a strength program to coincide with CrossFit conditioning, so I just want to be clear about strength and CrossFit. When people workout with me and we start with a strength session, I often get, “I though we were going to do CrossFit?”. My response…it’s complicated. But truly it isn’t. My Point: To be good at CrossFit, or to get stronger while doing CrossFit (or not), you will need a specific strength program. Plain and simple. Training methodologies, not necessarily CrossFit WODs. Think about it. Now go get stronger! I have some work to do to get back to my previous strength levels.